In our house, we love pulled pork. Like, seriously love it. (Check out our BBQ Pork Baked Potatoes if you haven’t already.) When we go out to eat, it’s almost always to a BBQ restaurant. 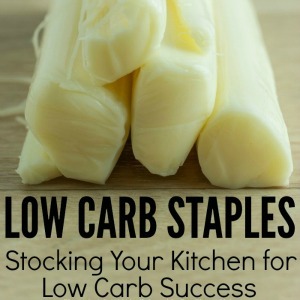 But when you’re watching your carbs, all those yummy sauces aren’t exactly carb conscious. They’re usually full of sugar or honey or molasses… if you use the sweet sauces, anyway. 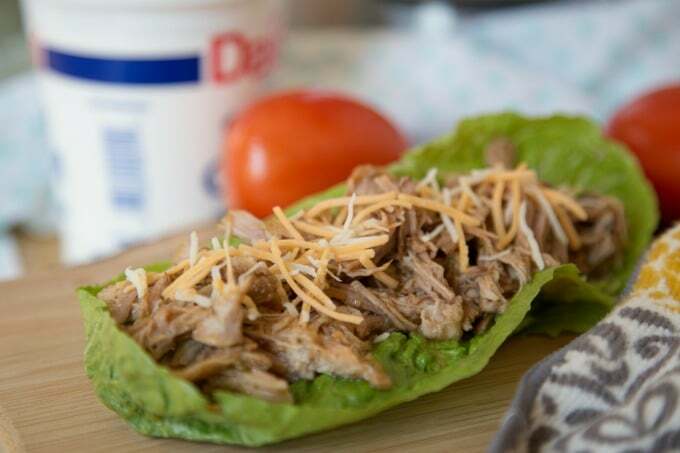 But this Instant Pot Pulled Pork is low carb friendly and great for tacos, burritos and more. The best part? 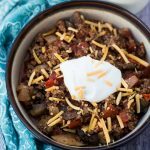 You can make it in the instant pot instead of letting it slow cook all day. Winner! 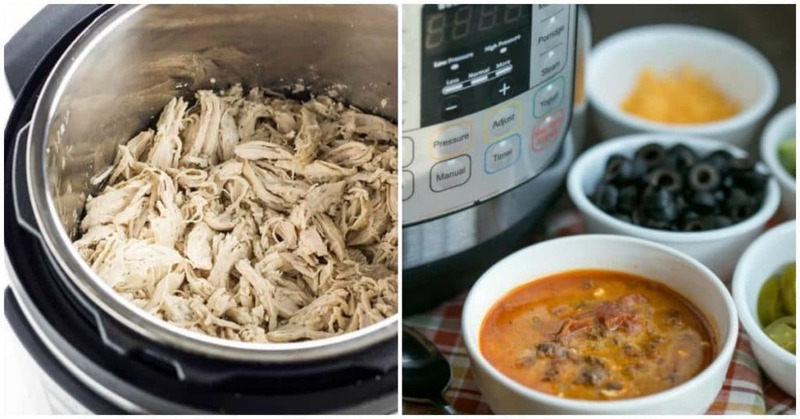 You’re going to love this instant pot pulled pork recipe because it’s as simple as just dumping the ingredients in. Here are the specific instructions for the Instant Pot. It couldn’t get any easier, right? 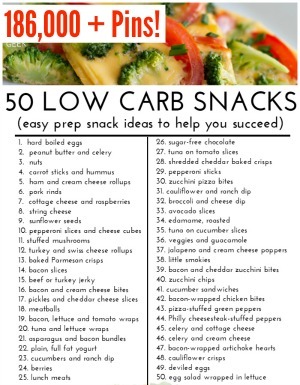 See the recipe card below for a full list of ingredients. Step 1 – Cut pork shoulder into 4 large chunks. 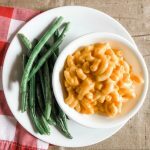 Place in instant pot. Step 2 – Add garlic and spices (salt, pepper, Sazon, oregano) to chicken broth, and pour over pork. Add bay leaves to the pot. Step 3 – Set the manual high pressure for 50 minutes. Step 4 – Naturally release the pressure for 10 minutes. 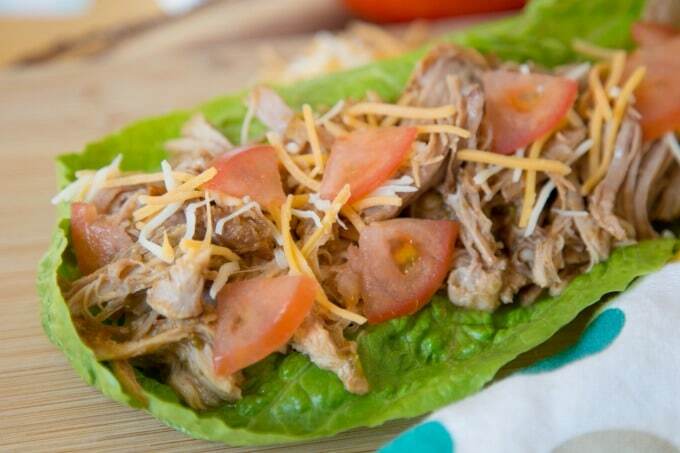 Step 5 – Shred the pork with a fork. 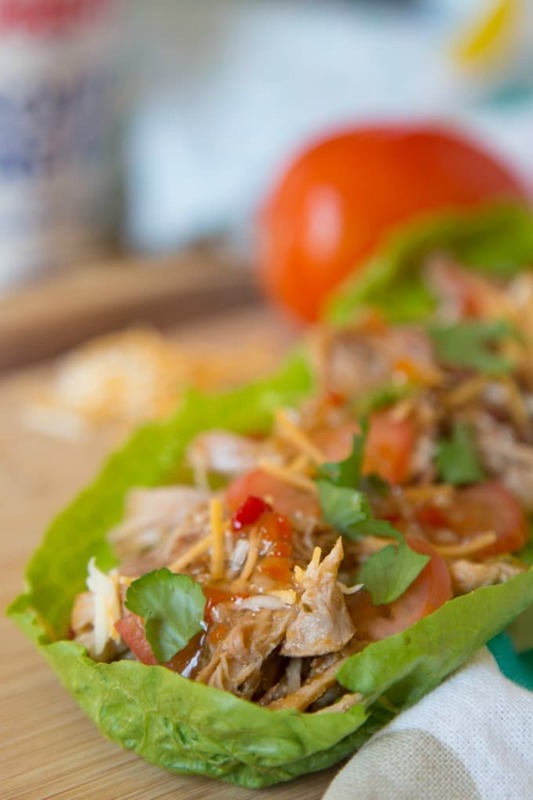 Step 6 – Serve in lettuce cups (or taco shells, etc.). 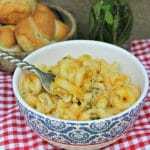 Step 7 – Top with cheese, sour cream, tomatoes, sofrito, or anything else you like. So yummy! Print the recipe card below to save it in your recipe box or binder. Note that any liquid remaining after the pork is cooked will be absorbed after you shred the meat with forks, so there’s no need to worry about draining it. 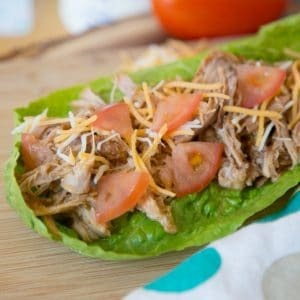 This Instant Pot Pulled Pork (aka Pork Carnitas) is super easy to make, and you can use it for so many dishes, like tacos, burritos, salads, on baked potatoes and more. Cut pork shoulder into 4-5 large chunks to fit it into the Instant Pot. Add salt, pepper, Sazon seasoning, dried oregano and minced garlic to chicken broth. Pour over pork. 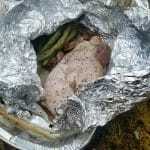 Cover, and cook the pork on high pressure (using manual setting) for 50 minutes. 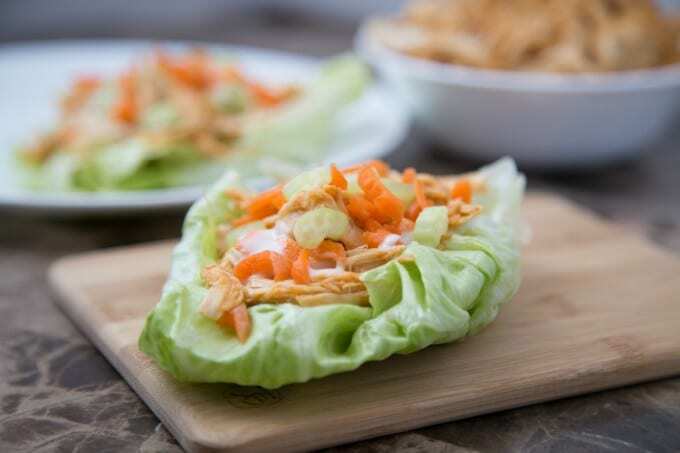 Serve in lettuce cups and top with cheese, sour cream, veggies or other preferred toppings. You should not need to drain the pork after cooking. If any liquid remains, it will be soaked up by the meat after you shred it. 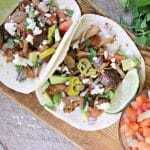 What do you plan to serve with this Instant Pot pork carnitas recipe? 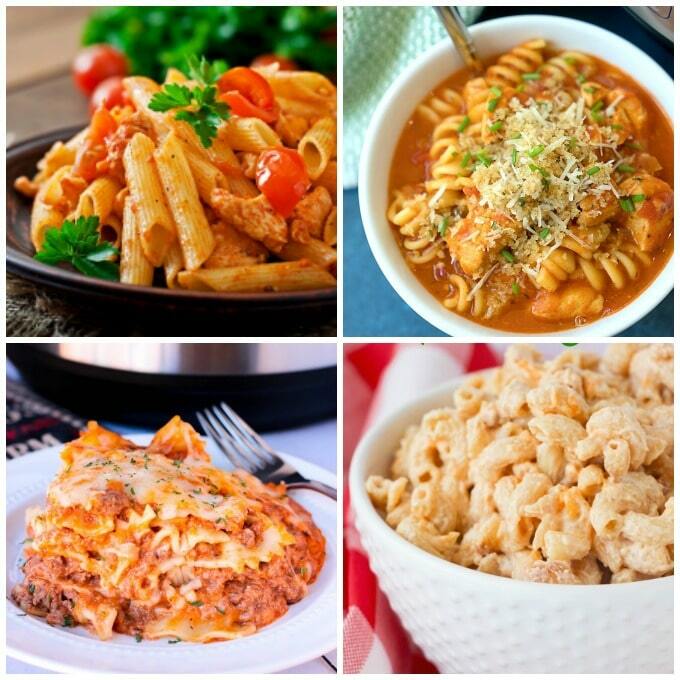 If you’re looking for more yummy things to make in the Instant Pot, check out the posts below.